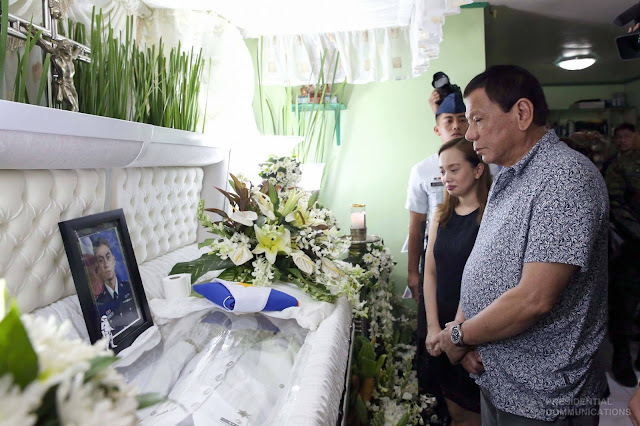 Home / President Duterte / Siena Luchansky: Wake of PAF Captain Christian Paul Litan. Siena Luchansky: Wake of PAF Captain Christian Paul Litan. 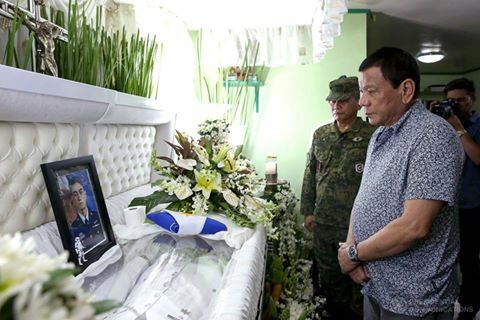 President Rody Duterte paid his last respects to Philippine Air Force (PAF) Captain Christian Paul T. Litan and extended his condolences to the bereaved family in Mataas na Kahoy in Batangas City on May 7, 2017. Captain Litan was the pilot-in-command of the UH-1D helicopter that crashed in Tanay, Rizal on May 4, 2017. 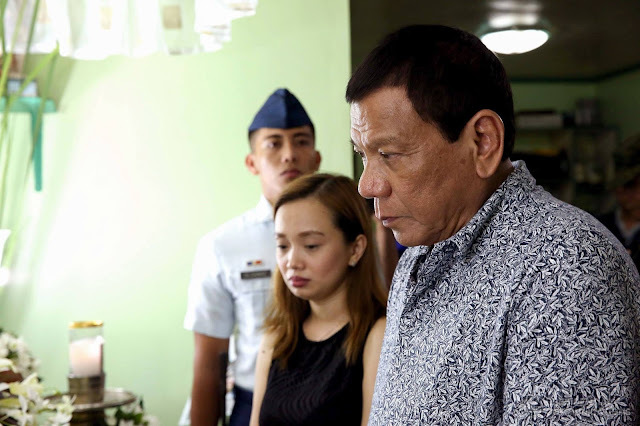 Of the four on board the chopper, one survived the crash.